From the New York Times Bestselling author Steven Erikson comes a new SF novel of devil-may-care, near calamitous and downright chaotic adventures through the infinite vastness of interstellar space. I'm a huge Erikson fan, so when I heard he was coming out with his own take on the Star Trek parody/homage genre that really only Galaxy Quest and John Scalzi's Redshirts have properly nailed, I knew it'd be going on my must-read list. November seems so far away, but with a killer cover to share, it seems a bit closer. Wait wait wait, he's gonna do his own Star Trek parady/homage novel? Yeah, I'm so in. 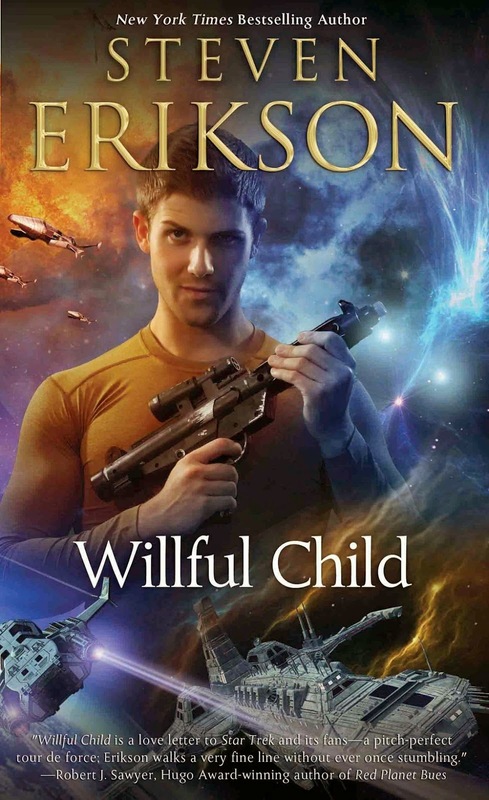 I liked Redshirts, but something tells me Erikson's take is gonna be better and more my thing. Thanks for the heads up about this, totally adding this to my list of books to watch. Nice! That's a new to me one! Looks exciting! Star Trek parodies are usually fun! Looks like a Bujold book in some ways. May have to check it out, never read his other works though.